Taking the Red Seal Exam? We can help with a practical review of the welding assessment units. LJP Skills Training, a welding college located in Guelph Ontario, offers welding training at our Lightspeed Welding Training & Test Centre. Individuals looking for welding training programs can select from a wide variety of courses. New students commence each Monday, on a continuous access basis (space permitting). 23 weeks of practical, hands-on experience in GMAW and SMAW with welding theory and blueprint reading as independent studies with instructor assistance. 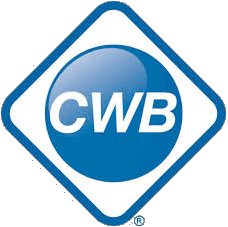 Program includes CWB tests. 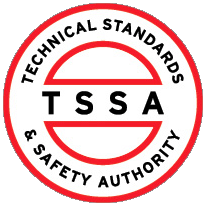 20 weeks of practical hands-on training, leading to two TSSA pipe ticket tests. Students complete a blueprint reading component as independent study units with instructor assistance. 26 weeks of practical hands-on training, leading to three TSSA pipe ticket tests plus an overview of GMAW on carbon steel. Students complete a blueprint reading component as independent study modules with instructor assistance. A variety of skills upgrading options are available at the welding shop. These courses can be combined or modified to suit individual or corporate training requirements. © 2017 LJP Skills Training. All rights reserved.